If you’re the token writer at your office, among your friends, or in your family, then you’re probably asked on a regular basis to edit, review, or proofread written documents. Academic essays, business letters, and resumes will land on your desk with the word “HELP!” scrawled across the top. 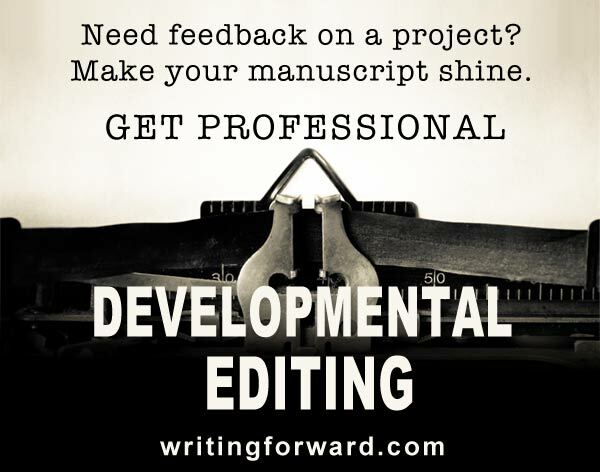 Or maybe you’re ready to get serious about your writing, and you want to learn best practices for editing so you can clean up your work before sending it to beta readers, submitting to agents, or publishing. The editing tips below will help you brush up on your editing skills, whether to polish your own writing or help someone you know. I spend most of my work hours editing other people’s work and self-editing my own writing. In fact, I spend more time revising and proofreading than I do writing. So I thought I’d share a few of my favorite editing tips. Before you uncap your red pen, give the piece a quick read. If you edit on the first pass, you might have to go back and undo some of your markups or revisions. This can happen because you haven’t picked up the style and flow yet, because you don’t know where the piece is headed with regard to context, or because you’re focused on finding mistakes instead of understanding the piece. If at all possible, read the material first, then go back and start editing. 3. Are You Wearing Your Editing Hat or Proofreading Hat? Many writers and editors swear by the printed page. But that’s a messy and inefficient way to edit. If you start editing on-screen, you’ll adjust to the new format and soon find it’s much easier than marking up print. If you’re making big revisions and you’re worried about losing the original text, use Microsoft Word’s feature, Track Changes, which does just what you’d expect — it tracks all the changes you make as you edit. Then you can go through and review every edit and accept or reject those changes individually or collectively later. This is also a great way to edit twice — once to make the changes and again to approve them. Before you start editing, run spell-check and use your word processing software’s grammar checking tool (if it has one). Automated checkers don’t catch everything, but they can catch a lot of the most obvious mistakes, and that means you’ll have more time and brain energy for manual editing. Also, use the find-and-replace feature, which allows you to quickly find or replace a single error multiple times. For example, many people are still in the habit of using a double space after a period. I always do a find-and-replace to replace all those double spaces with the modern standard: single spaces after every period or terminal punctuation mark. The most crucial aspect of proofreading and editing is reviewing every single word and examining the written work at the word, sentence, and paragraph levels. You should be able to assess every document or manuscript in its entirety to check for readability, organization, and flow. This means you’ll have to go over each piece multiple times. To separate yourself from the content so you can better evaluate the writing, read slowly and read out loud. You’ll catch a lot of minor mistakes and typos this way. 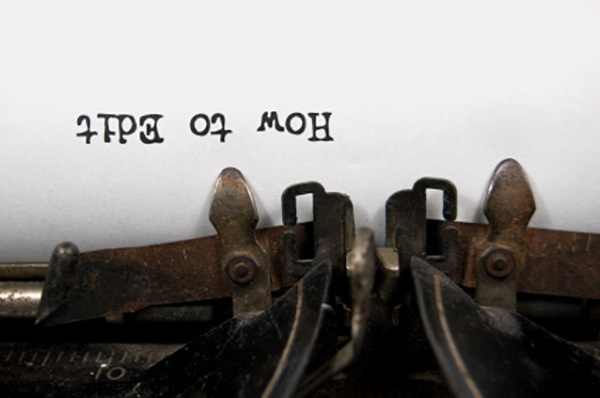 Editing involves more than checking for grammar, spelling, and punctuation. When you read the piece aloud, pay attention to the rhythm. Does it flow smoothly? Do the sentences alternate in length or are there a series of really short (or really long) sentences that have a droning rhythm? Break up some of those longer sentences and join some of the smaller sentences together to give the writing better rhythm and more musicality. Formatting is actually separate from editing. This involves things like font (size, face, and other formatting options, such as bold or italics), paragraph and line spacing, and indentations. Chapter titles and subheadings, for example, should have the same font and spacing. Citations should be formatted with consistency (and preferably, adhering to a style guide). Keep an eye out for inconsistencies in this area. I repeat step five until I can’t find anything to improve. If you have any editing tips of your own, please share by leaving a comment. I chuckled at the phrase “token writer”. What? One space instead of two spaces after the period is the cool thing to do now? I am so yesterday. In fact, I am still doing that while typing out this comment. It took me a couple of months to get used to typing one space instead of two spaces after each period. But it makes sense. I mean, you don’t need to set off sentences with a period, a capital letter, AND an extra space. Anyway, it takes some getting used to…but it can be done! Overcome the habit! Ditto the “token writer” phrase. This is really useful. I’ll be printing out and adding it to my notebook. Yes, I do like a few things in hard copy. @Kevin – When I was switching from typewriter to word processing the explanation I was given about why only one space instead of two was not a trend thing but had to do with word processing having scalable fonts whereas on a typewriter that metal slug is what it is. But it still took almost 2 years to retrain my thumbs not to hit the spacebar twice. Hi Deb! I hope NaNo’s going well. From the sound of your Facebook updates, you’re on track. I didn’t know the switch to a single space had to do with scalable fonts, but that totally makes sense. Thanks for explaining. This is very helpful in many ways. I think I’ve heard or read all these tips at one time or another, but I’ve never seen them all in one place, so succinctly. This is one to keep and savor. My pleasure! There are a variety of editing strategies that you can apply. These are the ones that have worked for me or that I’ve heard work well for other writers and editors. Good luck editing! Melissa – You mentioned the one space thing ages ago and I still haven’t managed to get into the way of doing it. But I have a 24 year habit to break. I’m hopeless at editing my blog. If I type it in Word first, I get all those horrid characters in the html. Wish there was a way to spell check directly on your blog post. Yep, it’s a tricky habit to adopt after typing two spaces for so many years. Don’t you use WordPress? Mine puts a red underline beneath words that are spelled incorrectly. Still, I find the best way to edit and proof is to simply read over each post a couple of times before publishing. Sometimes I even go back and proofread posts that I’ve already published, and I do occasionally find typos that need fixing on posts that are already live! Great post. However, I do think it’s important for writers who are looking to get published professionally hire an editor and/or proofreader to catch any mistakes or wordy passages. I agree for the most part, but it depends on the writer and the publication they’re targeting. Some writers have outstanding grammar skills, and any mistakes will be caught by the publisher before it goes to print. I wouldn’t recommend a writer with excellent technical skills hire a proofreader before submitting a short story to a lit mag, for example. Usually lit mag editors will clean up any typos. But lots of writers are not focused on grammar so they never gain strength in that area, and that’s fine, but they should definitely think about hiring some help. Also, young and new writers can benefit immensely from working with an editor/proofreader and studying to improve their grammar skills. “As close to perfect as possible” is probably the best way to say it. When one is satisfactorily content, then it is time to hit “publish”. I’ve heard so many writers and artists say “It’s never really done…” I think many rely on intuition to “just know” when it’s time to share the work. My “inner editor” is stopping me from writing my novel! I have no problems with the story line and/or the characters but my grammar skills have suffered over the years. How will I be able to proofread my work, if I don’t know how to use proper grammar or punctuation? Hi Phyllis. May I suggest you take a little time to revisit grammar? If you strongly feel that grammar is a big weakness for you, then the only sensible recourse is to brush up on it. 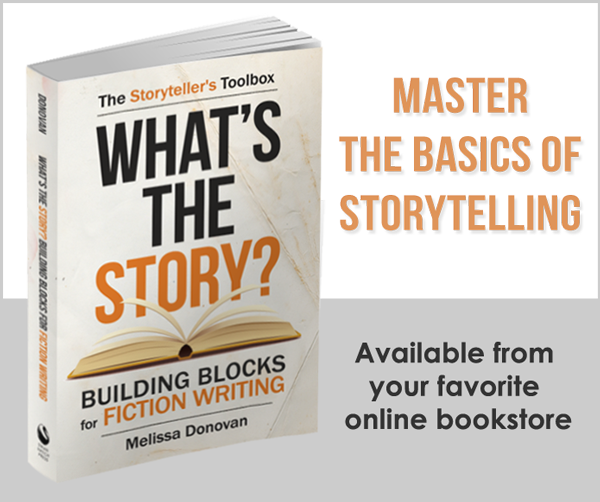 I recommend The Elements of Style as a starter and then Grammar Girl’s Quick and Dirty Tips for Better Writing, which is packed with awesome grammar in an easy-to-digest narrative. Many writers don’t edit as they write. You can try writing a little more freely, and worry about revisions and editing later. Good luck! Hello, in what sequence should I put the following verbs with an adverb? Adverb first and then verbs? And is it still true that in formal writing you must never write could’ve? There might be some wiggle room with this one, but I would go with “She never could have.” It sounds more natural. I would refrain from using contractions (like “could’ve”) in formal writing, such as academic or business writing. Good luck! Thanks for the tips. They are wonderful. I find the frequency of my editing on-screen as I write to be increasing. It’s almost as if I can recognize a mistake more quickly than I could when this whole writing thing started. But, I still go through the steps you’ve outlined. However, the printed copy edits continue to be an integral part of the process. This is when I sit and read aloud, perhaps three or four times, using a red pen – as if I’m editing for another person – before heading back to the keyboard with my now-bloody print. I never do print edits for short pieces like blog posts or web copy, but for a book-length project, I have to proof on paper. I often change the font and size of my text so even if I’m proofing on screen, it tricks my eye into seeing it as something new! That’s a very good idea. I’ll try that on my next essay. I like that! It’s clever. Sometimes pushing the delete button on your words is hard, so every time I start a new round of edits I copy the whole document and paste it into another word file. Then I can delete away and know that if I change my mind my old file is still there. I do likewise, Jessica. After writing the first draft, I’d save it with the name, First Draft. Then I’d copy-paste it to another word document where I’d work on the second draft, save it with the name Second Draft, and the process goes for the next drafts. Me too, but only for major edits and rewrites. Then I go through and clean them out every couple of years. Good ideas, like the one about looking at a piece in a different font or size, got to try that. I find I edit a lot for trite words or phrases that make writing seem stale. “inform your work” is one I jumped on yesterday. “Platform” is starting to get a little rank around the edges as is “lean in”. Our culture goes so fast, stuff ages quickly. Yes, words and phrases do get stale. Loved the post. I have to admit, I’m still a hold-out on the double-space after the comma. It just looks weird otherwise. Good to see the ol’ Oxford comma used here. Thought I was the only one who used it any more. I’m the opposite — the double space now looks weird to me because I’ve gotten used to the single space. Most editors are going to remove it anyway. I’d say it took me about a month to adapt to the single space and another couple months before it became habitual. I’m a big supporter of the Oxford comma simply because it’s necessary sometimes for clarity; therefore, it should be used all the time for consistency. I just discovered your site, and I am so glad that I did! I am an aspiring author working on my debut novel. This is great information. I’ve just subscribed to your blog. I’ve been blogging for a little over a year now. I have a review blog for debut authors. I look forward to seeing your other posts. Thanks for your kind words, Rebecca! I’m glad you’re finding the information here useful. I wish you the best of luck with your blog and your book. Another double-spacer after the end of a sentence here (as far as I know it is less that it is “standard” and more a case of what works best for certain media–eg. a proportional, serifed font looks better with a double space). Consistency is key whatever format you use. Otherwise, a great list. And I agree, for most short pieces, editing on screen is the way to go. For anything book-length, I would still rather work with red-pen and a printout. I work mostly with short pieces, which is why I rarely print anything. I don’t even have a printer hooked up in my office! I’m all about the red pen when I’m editing a book-length work! Thanks again, I hate editing!!! You’re not alone. I don’t mind editing (sometimes I enjoy it) but I know of a lot of writers who don’t like editing at all. I thought there was some great advice here. Another tip I often use is text-to-speech programs to read your work back – it’s a surefire way to catch typos and mistakes you would otherwise miss. I find it helps with sentence structure and even rhythm/pacing, even though the text-to-speech technology can do a pretty bad job replicating either. Great tip, S.D. I’ve heard text-to-speech still has problems, but it sounds like an excellent way to listen to your text in order to get a fresh perspective. Thanks for the suggestion. Thank you so much for your kind words, Karen. Your feedback means a lot!